From left: Nathan, Robert, and Sam. 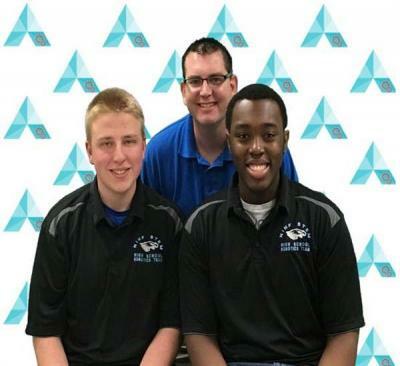 Nathan Dort and Robert Frazier, students at the National Inventors Hall of Fame High School in Akron, won the 2017 Congressional App Challenge and will be honored by Congressman Tim Ryan at a ceremony on January 8. Their app, “The Truth About Opioids,” was developed in response to the topic derived from a problem-based learning scenario involving Summit County Public Health and the Akron Fire Department. The Congressional App Challenge was created because Congress recognized that STEM and computer-based skills are essential for economic growth and innovation and that the U.S. has been falling behind on these fronts. The nationwide competition highlights the creativity and talent of the students in each Congressional District, with each district selecting a winner and their app to be prominently featured at the U.S. Capitol. Congressman Ryan was one of two Congressional Co-Chairs for this year’s challenge.